As we completed registration of My Disney Experience, we wanted to start making reservations for restaurant. 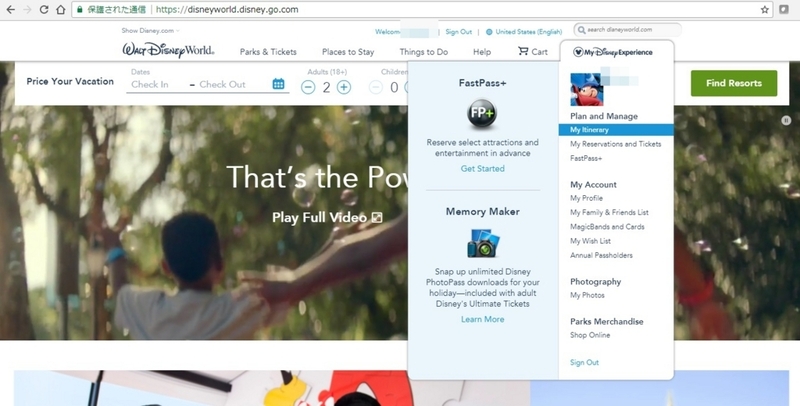 But, before that, we had to decide entire schedule of our trip, because there are 4 theme parks in Walt Disney World. I had a strategy meeting with M-chan first. Based on the story of her friend who stayed at WDW last new year eve, we decided following schedule. We made decision based on these assumption. - Magic Kingdom Park is "awful" on Dec-31. Fantasy In The Sky Fireworks, night time show of New year eve, will also held on Dec-30, and it might be better than Dec-31. - M-chan, who loves Nightmare Before Christmas, wants to see Jingle Bell, Jingle BAM! (will end on Dec-31). Then Disney's Hollywood Studios is better choice on Dec-31. However year end show at Disney's Hollywood Studios is Star Wars: A Galactic Spectacular. We actually don't have much interests in Star Wars. Thus, we will move to Epcot after Jingle Bell, Jingle BAM!. I would like to show URL I saw during these conversation, for your information. Anyway I realized that our itinerary, 5 nights stay, is very tight. we have to stay at least 2 more days if I see regular shows such as Disney Festival of Fantasy Parade. Finally we made restaurant reservations. Guest can make reservation 180 days in advance. We made approx. 110 days before our stay, and there still were vacancy at the time. However when I saw The Garden Grill Restaurant 60 days before our stay, there were no available tables on both Dec-31 and Jan-1. <Breakfast> Be Our Guest Restaurant, this is a privilege of our package tour. <Lunch>Minnie's Seasonal Dine at Hollywood & Vine with Fantasmic! This is also Character Dining. 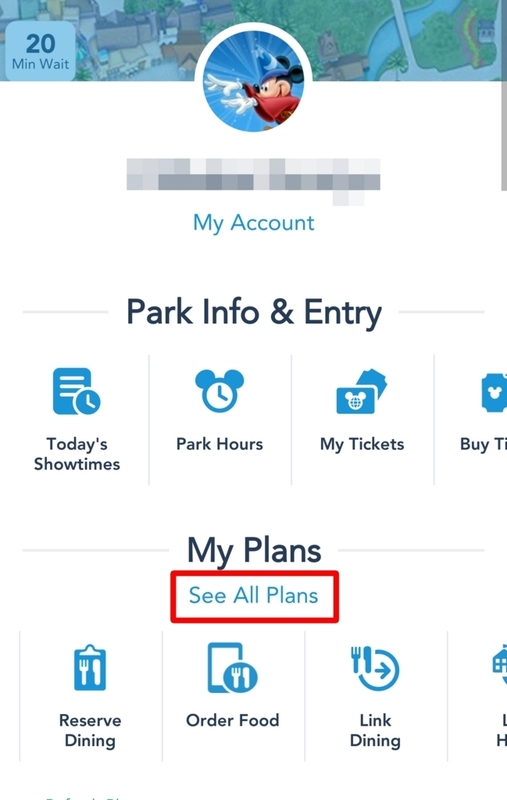 All reservations and plans can be seen from "My Itinerary" menu on My Disney Experience. 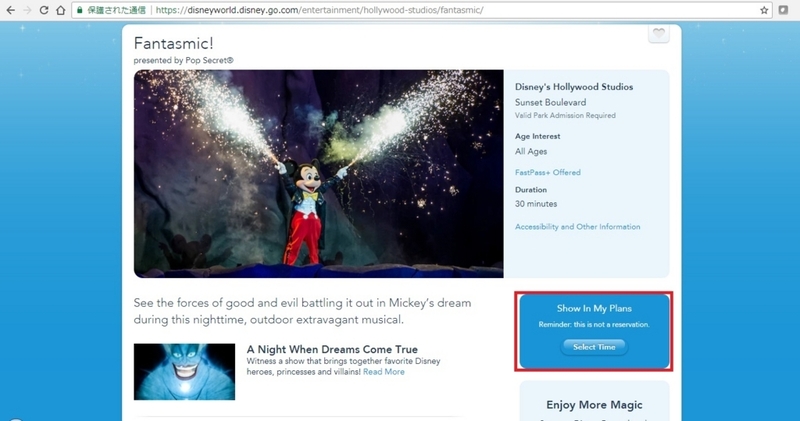 Guests can add shows and parades into their own itinerary from icon "Show In My Plans" on introduction pages of every entertainment. 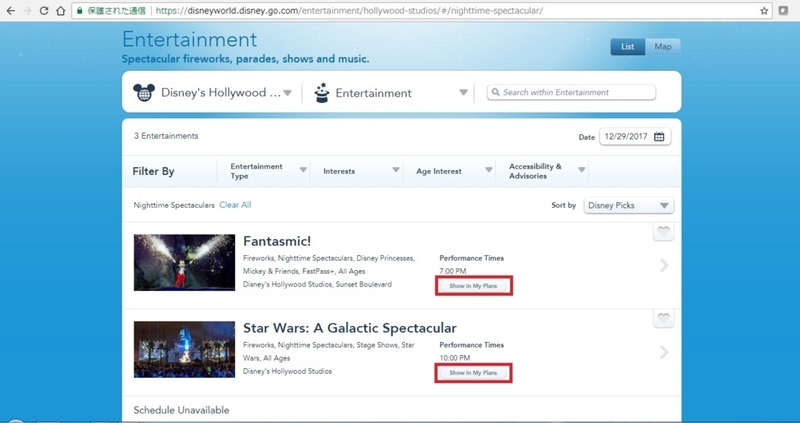 Thus I recommend to add show start time into your itinerary after you booked entertainment dining packages. As I can see my own itinerary from both my PC and Apps, I always look at my plan when I have time, and become excited.